One of our live, friendly receptionists will answer your callers with your business name and a greeting of your choice. Receptionists handle the call according to your requests. Our receptionist transfers calls to you wherever you are. A message is taken and it is delivered to you via text message, email, fax or voicemail if you are unavailable. Extension 19 Answering Service is the call center designed with our customer's needs in mind. Our mission is to streamline your communications, enhance your image, and ultimately, help grow your business. We have delivered reliable and professional service to businesses large and small since 1974, giving our clients a cost-effective way to handle their calls and manage their administrative demands. We supply callers with friendly, helpful assistance 24 hours a day, 7 days a week. Extension 19 can and serves as a business solution-provider over many different industries including but not exclusive to: medical, oil and gas, commercial services, professional services and government entities. We are 100% US-based service. Never Outsourced! Extension 19 understands that prompt and accurate relay of important information is vital to your business. We know the importance of timely communications in a fast-paced world and want to help ensure your business never misses a call. 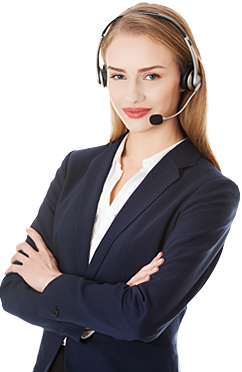 Our thoroughly-trained telephone service representatives will provide the “human touch” that auto-attendant systems just can’t offer. We take great pride striving to satisfy our client’s ever-changing needs and work toward establishing long-term relationships. At Extension 19 Answering Service, we strive to become a seamless, indistinguishable extension of your business. Using the latest technology, we customize each account to allow for the best end-user experience possible. Intelligent scripting allows our operators to utilize personalized greeting and questions and guarantee each caller’s experience is consistent and positive. Extensive power and systems back-up also permit us to remain completely functional during natural disasters and makes certain your information is protected and secured at all times.